Eli Lilly and Company/Black Data Processing Associates (Lilly/BDPA) Scholarship is open to outstanding minority students planning to attend a four-year college or university to pursue a career in information technology. Students must be members of Black Data Processing Associates. The scholarship covers the cost of tuition, fees, books, room and board, and other college-related expenses. Students must have a grade point average of 3.0 or above and either be high school seniors or currently enrolled in college. All computer-related majors are accepted, including information systems, computer science, and computer engineering. In addition to excellent grades, applicants must demonstrate an interest in their communities through volunteer work, and demonstrate other activities that show leadership capabilities. The application includes a 500-word essay relating to why technology is important. BDPA is a non-profit organization of professionals in the Computer Science and Information Technology industry. The member organization is located in Maryland and supports the professions of programmers, analysts, engineers, managers, instructors, and entrepreneurs across the country. 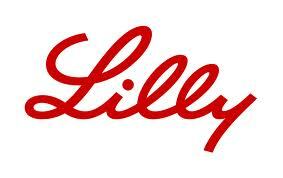 Eli Lilly is the 10th largest pharmaceutical company in the world, founded in 1876 and located in Indianapolis, Indiana. Their business focuses on making medicines that improve and save lives.